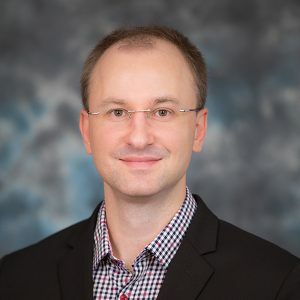 Before joining the Industrial and Systems Engineering Department, Maciej Rysz, PhD, served as a postdoctoral research associate with the National Research Council under the mentorship of Dr Eduardo Pasiliao. He received his PhD in Industrial Engineering – Operations Research from the University of Iowa under the mentorship of Dr. Pavlo Krokhmal and holds MS and BS degrees in Mechanical Engineering. His current research interests lie in quantitative decision-making with emphasis on combinatorial and stochastic optimization, networks, multistage decision problems and risk management. He is particularly interested in the development of novel optimization framework and solution algorithms for quantification of “influence” and mitigation of “risks” in networks, such as communication and cyber networks. He also actively collaborates with USDA on application-based modeling of environmental and energy systems via machine learning methods. The UF ISE family is truly honored to have Dr. Rysz coming aboard.